The Hertz Corporation, a subsidiary of Hertz Global Holdings, Inc., operates the Hertz, Dollar, Thrifty and Firefly vehicle rental brands in approximately 9,700 corporate and franchisee locations throughout North America, Europe, The Caribbean, Latin America, Africa, the Middle East, Asia, Australia and New Zealand. 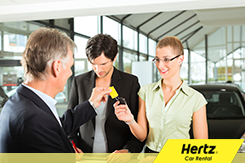 The Hertz Corporation is one of the largest worldwide airport general use vehicle rental companies, and the Hertz brand is one of the most recognized in the world. 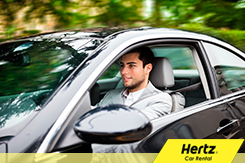 Hertz Thailand, a subsidiary of The Hertz Corporation is International licensee. Hertz Thailand was established since March 2003 with a strong financial standing and registered capital of 60 million Baht to support the fleet expansion. 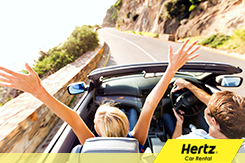 Hertz Thailand is one of the Top 3 Car Rental Company in Thailand which provides car rental in major airports, central business districts and tourist attractions throughout Thailand. We determine to provide an international standard with a touch of Thai, we devote ourselves to enhance the best customer experience with our modern, high fleet and well - trained employees.